Thyroid T3 contains nutrients that increase thyroid output and increase the body's metabolic rate (without stimulants). For dietary support take 4-6 capsules daily. 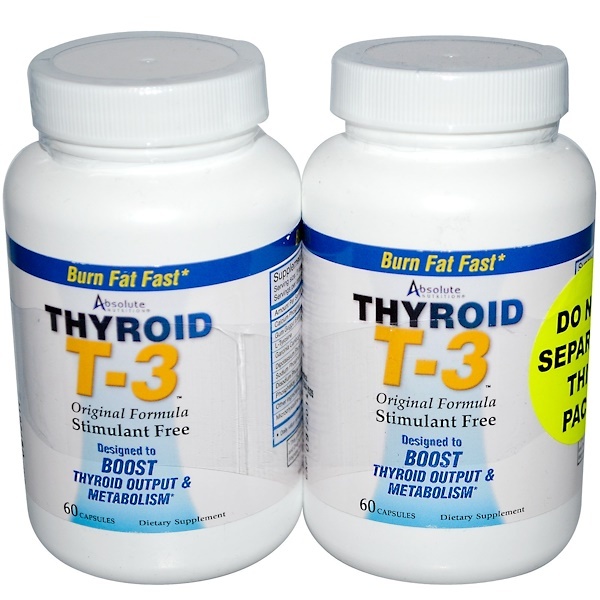 Use 2 capsules per serving, 2-3 servings throughout each day. For best results take 6 capsules per day. Do not exceed recommended dosage. 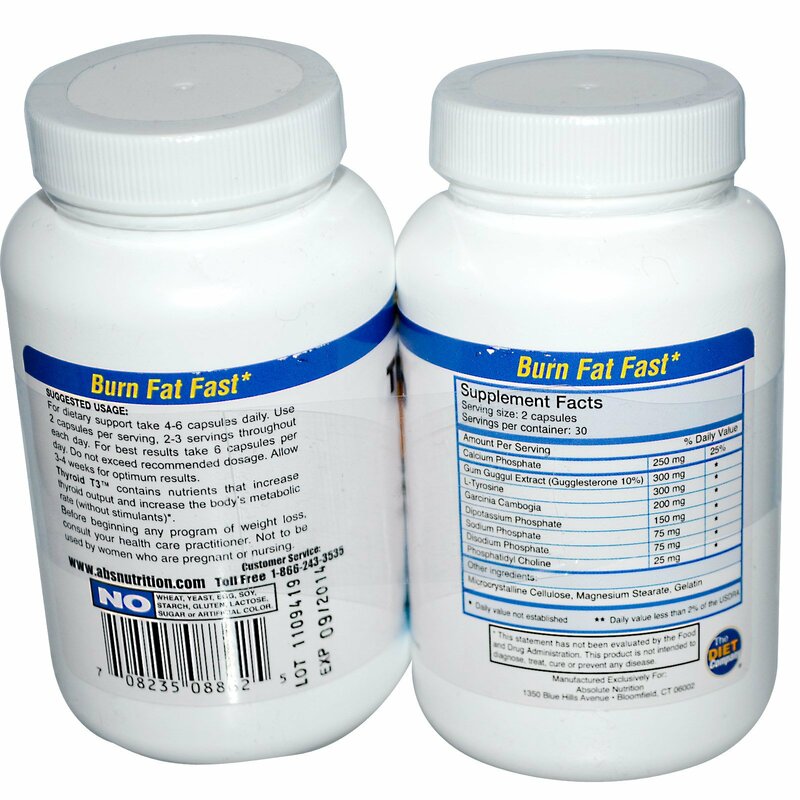 Allow 3-4 weeks for optimum results. No wheat, yeast, egg, soy, starch, gluten, lactose, sugar or artificial color. Before beginning any program of weight loss, consult your health care practitioner. Not to be used by women who are pregnant or nursing.